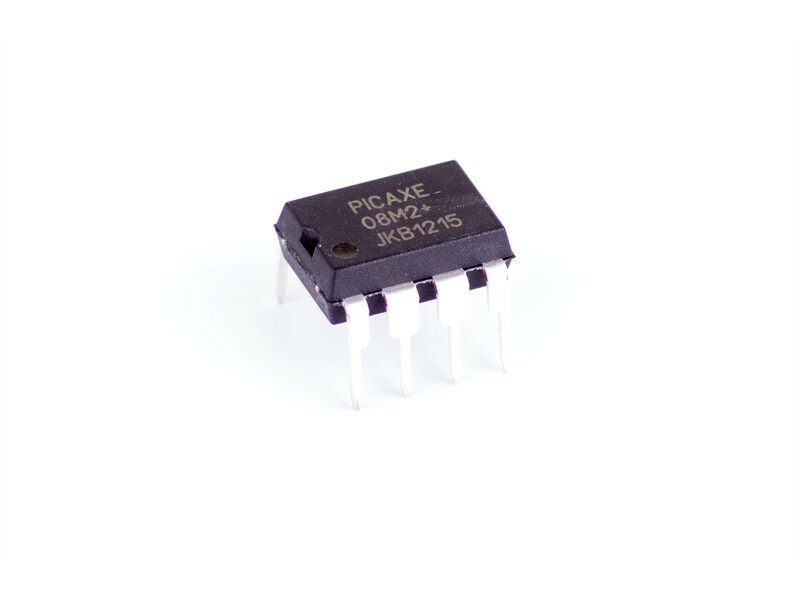 The smallest, but most popular, PICAXE microcontroller. Very popular in education due to its low cost and small size, but also very popular in a wide range of hobbyist projects. Small but perfectly formed! 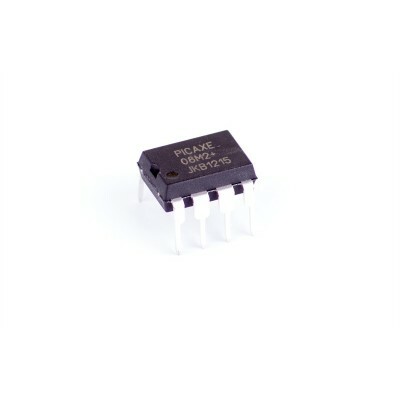 This chip supports up to 6 inputs/outputs with 3 analogue/touch sensor channels. All PICAXE M2 parts support enhanced features such as configurable i/o pins, parallel tasks, ring tone music and touch sensor inputs. The PICAXE-08M microcontroller can be used with any software application that supports the PICAXE hardware. The PICAXE-08M2 replaces the older PICAXE-08 and PICAXE-08M chips. Click here for PICAXE-08M2 datasheet.